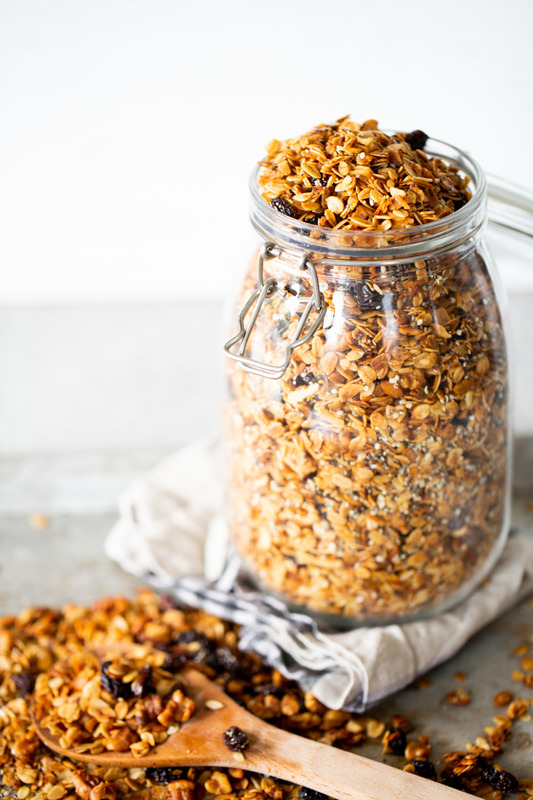 I think homemade granola is one of my favorite treats not only because it is so tasty, but also because it makes my house smell incredible!!! Kind of funny, right? There are days that I am blocked and can’t think of what to serve for breakfast. Even though I try hard to think of something delicious and nutritious I can’t think of anything. Also though I’m 100% a morning person sometimes trying to problem solve that early is not my thing. 😕 It’s horrible!!! Poor Santiago stares at me while I pace around the kitchen without being able to have a clear thought. I open the fridge, see some fruit, but sometimes nothing comes to me!! Finally, I see the oatmeal and granola, and suddenly I’m on cloud nine. 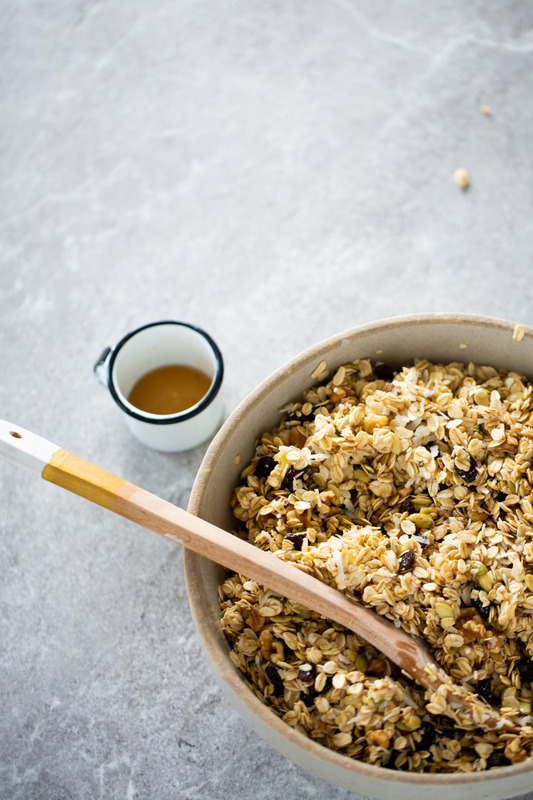 I love having homemade granola at home because when I have run out of ideas for breakfast, it always saves the day. 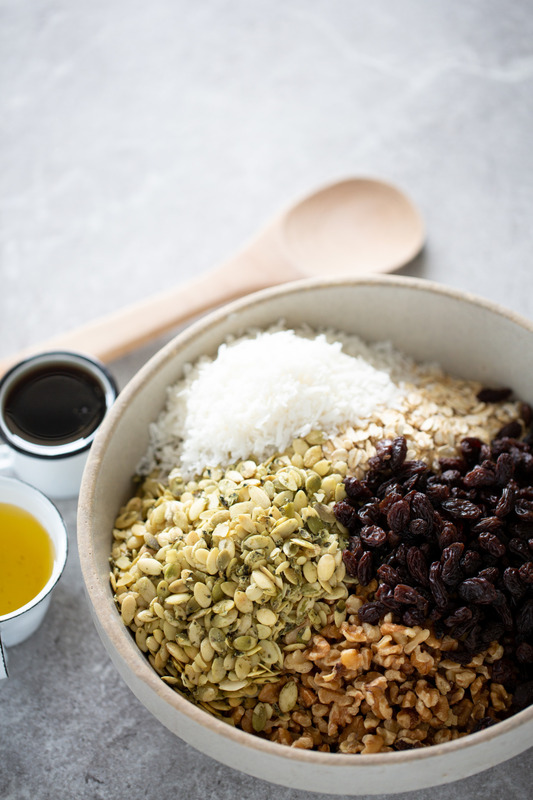 That day I ended up making them a smoothie bowl topped with granola. 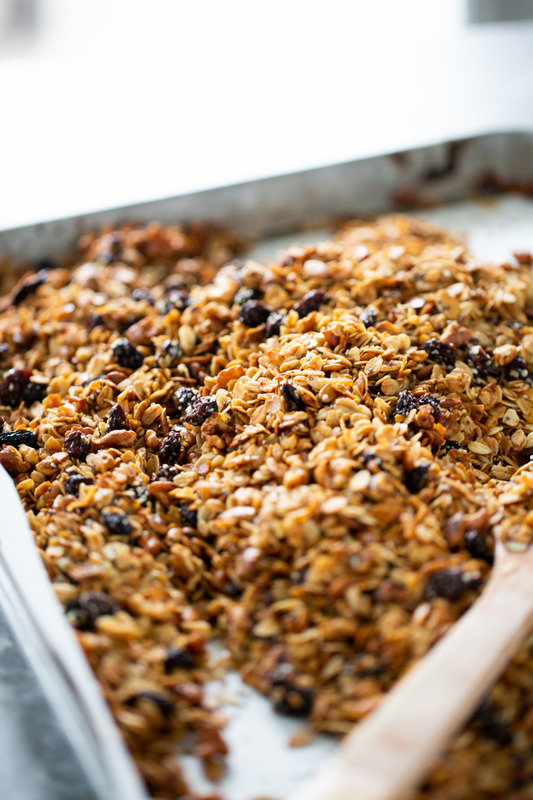 One of the nice perks of this granola is that it makes your house have a great smell. That’s why I wanted to revise it (again, because can you believe this is a recipe from 2013??? 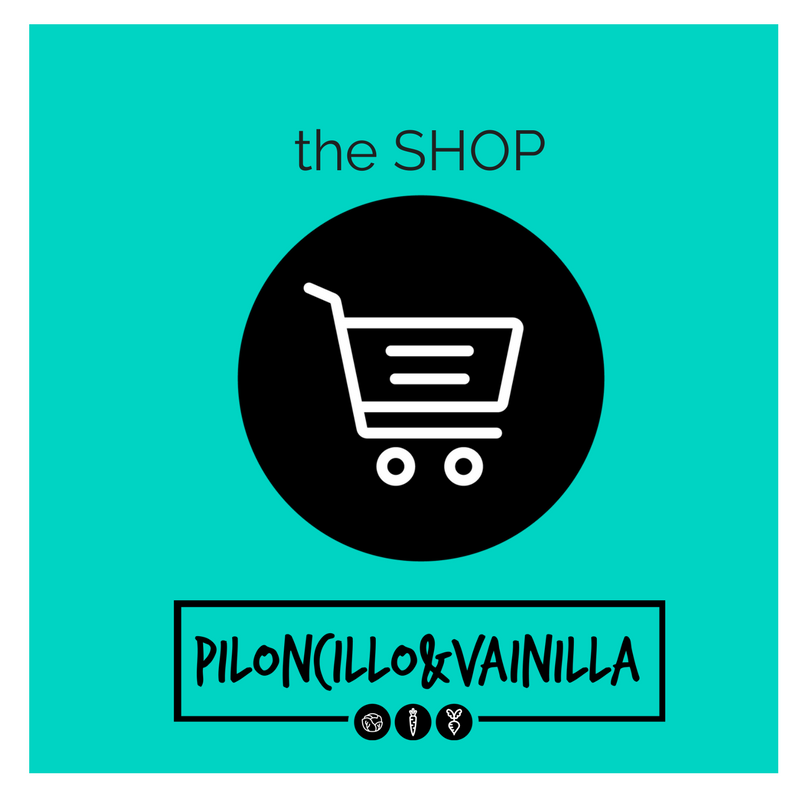 Yes, I started Pilloncillo &Vanilla in 2013, unbelievable right???) during the cold weather season because you are going to love how your house smells while you make it. 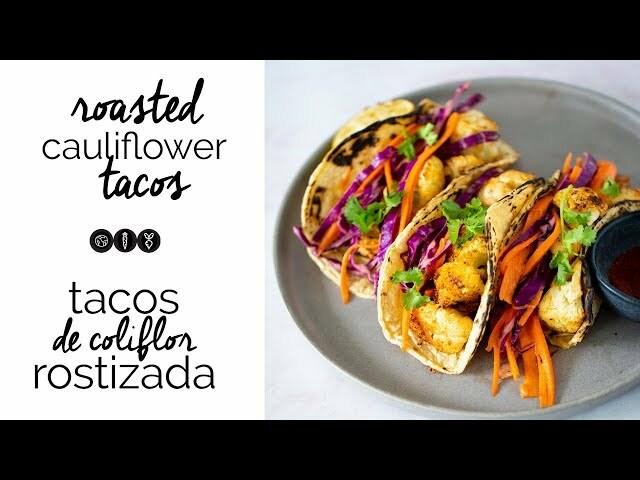 Besides this is a very flexible recipe and you can add to it whatever you like…. CINNAMON, VANILLA,…yummy!!! This is truly one of our household favorites because it is always different. Every time I make it I change it up a little. 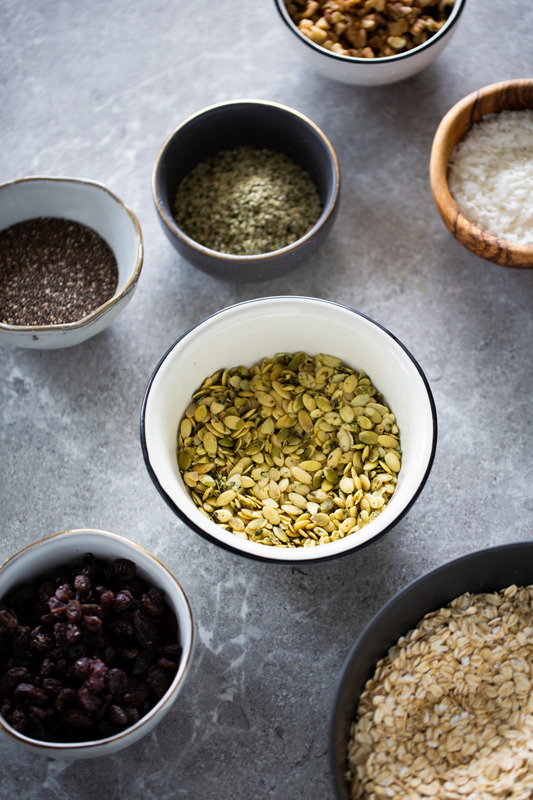 I love using mixed nuts, dried fruits or spices…anything to give it a different twist. Sometimes I like to serve it with almond milk (like cereal), sometimes with coconut yogurt, on top of fruit, but it tastes wonderful by itself. I hope you like it as much as I do!!! If you like it, please take a picture and share it on Instagram, FB or Pinterest so I can see it. I would love to see how it turns out!!! 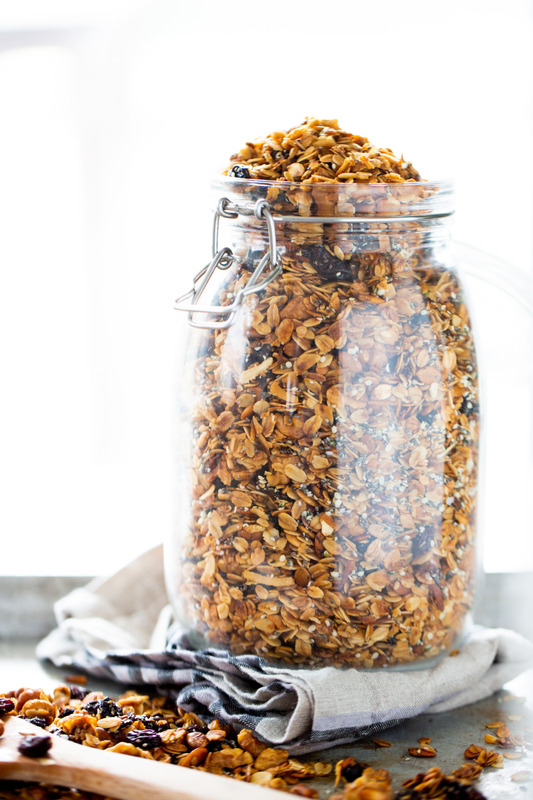 This homemade granola is easy to make, incredibly delicious, and totally flexible. Turn oven to 350 degrees Fahrenheit. Leave it in for about 25-30 minutes. 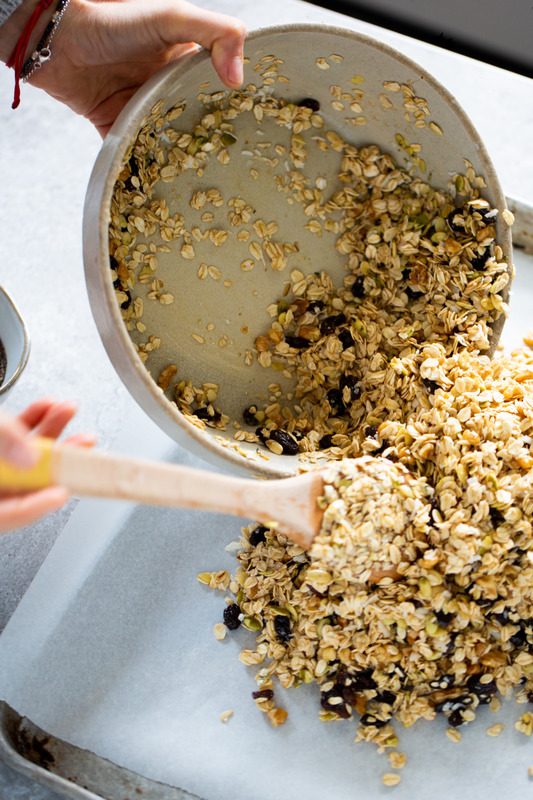 The trick is to be aware of the perfect cooking point for the granola. You know it’s done when you can stir the grains on the tray, and they feel loose and not damp and sticky. When the grains are loose take it out of the oven and let it cool down. Stir in the rest of the ingredients and store it in a jar in the cupboard. The nuts and fruits you use are entirely up to you. 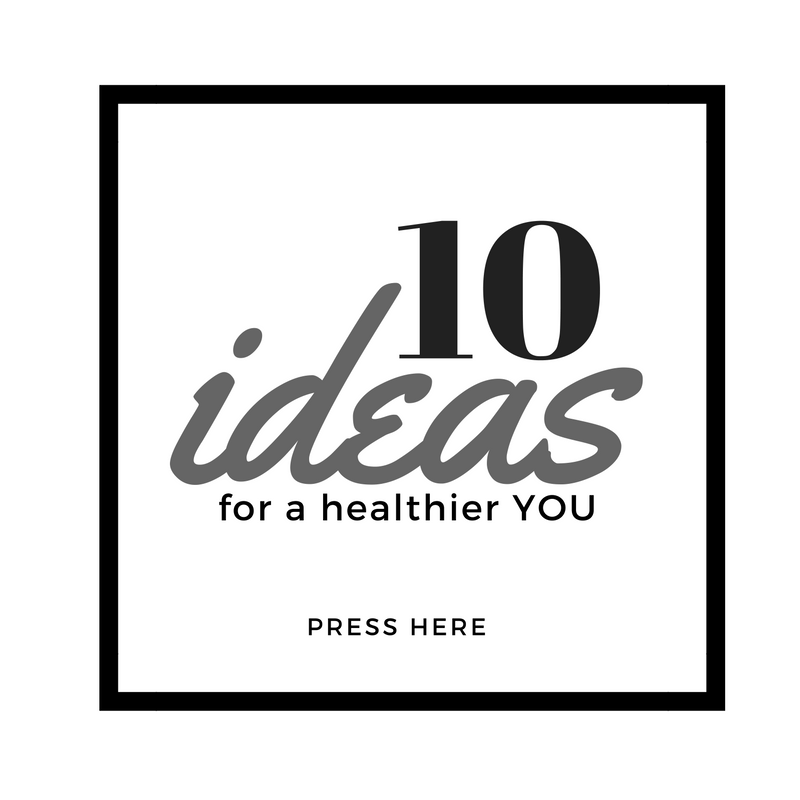 Change them around and make this recipe your own, make it how you like it.